Installing or repairing a roof sometimes feels like a necessary evil. But a high-quality roof keeps you and your family protected and ensures that your home is more than just four walls. That’s why at McFall Roofing we make your experience the best it can be. You deserve the best roof and the best service before, during, and after installation, because it is a necessity. At McFall, we pride ourselves in using only quality materials to ensure that your roof looks good and protects your home for years to come. We support the North Central FLorida community that we call home and purchase a majority of our materials locally. We hold our team to the same standards to ensure that every job is done correctly, timely, and with excellence. We even have one of our executive level superintendents go to each site every single day we are working on your roof. Accountability is important to us and that’s why we are constantly supervising every single one of our job sites. The McFall family has been working on homes in the Gainesville, FL area for over 20 years. Our unique climate is tough on roofs and you need the local experts you can count on. Marty McFall founded McFall roofing over 20 years ago when he saw a need for high-quality residential roofing that stands up to intense weather conditions. Today, his two sons operate McFall Residential Roofing with the same commitment too quality, durability, and attention to detail. With over 20 years of experience, McFall Roofing is more than qualified to tackle your roofing problems. We hold three active state licenses: General Contracting (License CGC026008), CBC 1257446, and Roofing (License CCC056862). We are uniquely qualified to offer a 25-year warranty on labor, protecting your home for the life of the roof. We have successfully completed a series of specialized training courses and programs. McFall Roofing contractors hold unparalleled knowledge and expertise in residential roofing. Replacing your roof is a big job that you want to be prepared for. 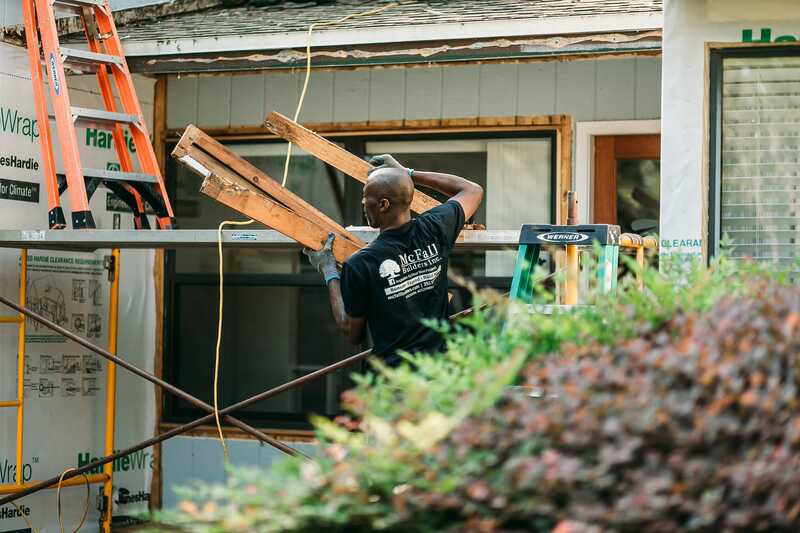 McFall Roofing goes to great lengths to make sure that you are comfortable during installation and to minimize the impact on your home. 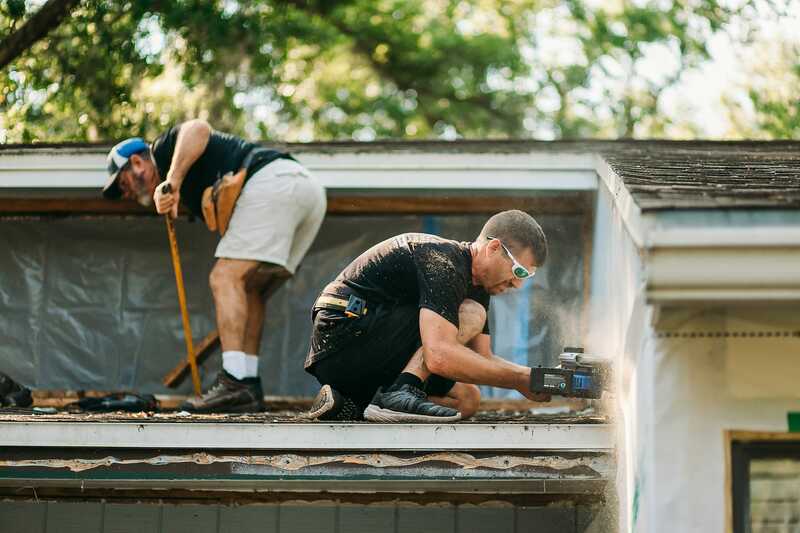 While replacing your roof is a big deal, our experts have done it a hundred times and know how to help prepare your home so you do not experience any discomfort during the job. We conduct a detailed walk-through of each home before any work is started. At this stage, our team members will advise you about measures to protect your belongings during installation, such as removing pictures from the walls. Additionally, our job sites are always clean and we use preventative practices to make sure no harm comes to your home or your property. All of our dumpsters are on scissor lifts which minimizes the impact on your lawn. 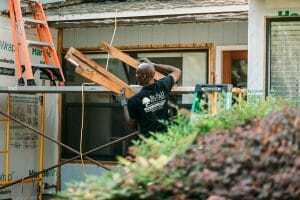 We also clean up the outside of your home each and every day to protect your landscaping. Our promise to you is that we will not receive final payment until you are satisfied. We pride ourselves in being Gainesville’s top choice in roofing. As you can see, McFall Roofing is not just another roofing company. We are a family serving the Gainesville community. We take every step possible to make the process of replacing your roof the best it can be. Contact us today to get started on repairing your current roof or installing a new one. We are here to help and here to serve you.